Product is currently Out of Stock. Please call (800) 238-0152 for availability. 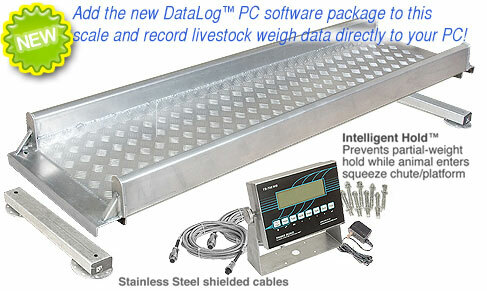 This livestock scale and alleyway package has a new design and enhanced features. It’s a complete system and ships ready to set up and put to work. 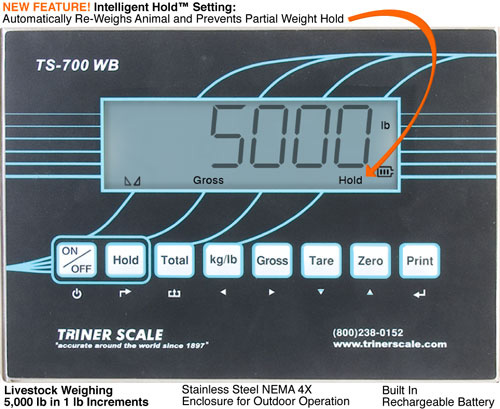 Specifically designed for livestock weighing, it has the features you need for the greatest degree of accuracy. This livestock scale compensates for animal movement and is made to withstand the elements in outdoor environments. 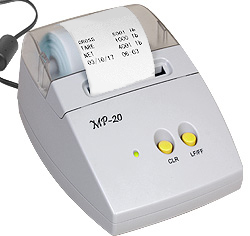 Use the tabs below to learn more about the features and applications below. And feel free to contact us. 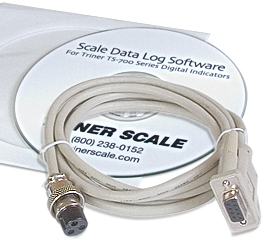 We’re here to make absolutely certain you get the perfect scale to suit your needs. You can read up here, place your order and wait for its arrival or we can happily assist you.